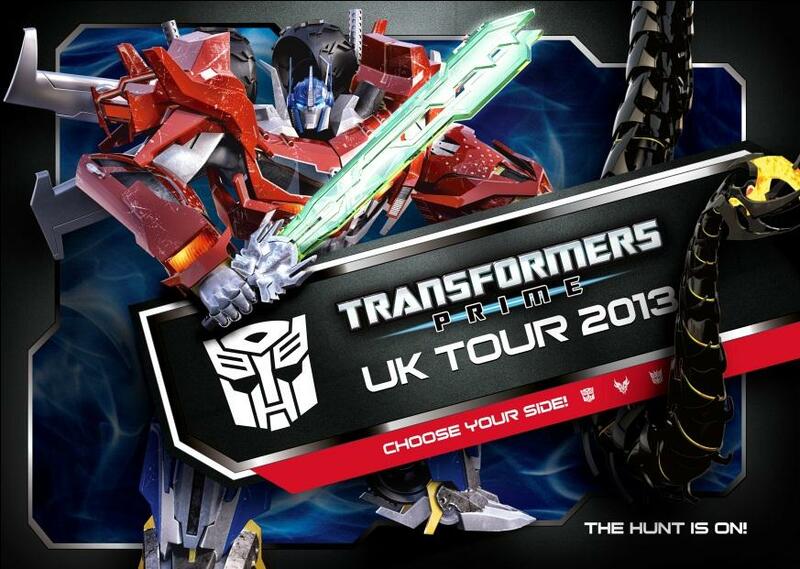 If you live in the United Kingdom or visiting in from June 20th to September 1st range, you might to check out the below dates as Hasbro is doing a tour of the country to promote the release of the Transformers Prime Beast Hunts toy line. 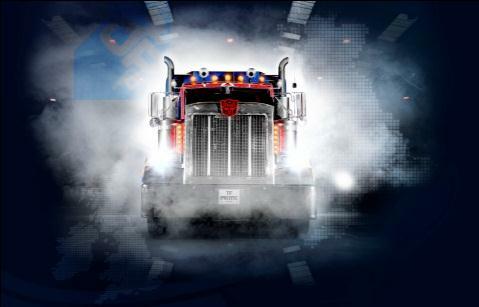 The tour will have the Optimus Prime truck on site along with the "Transformers Station" which will show off the toys, upcoming DVD releases and online play. Hit the press release below for more details. 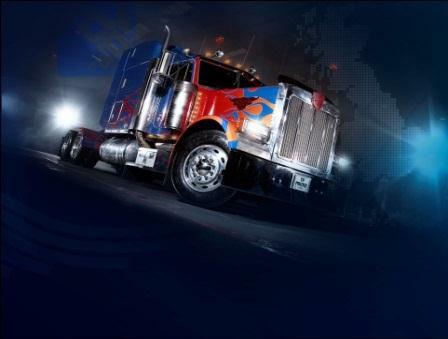 To celebrate the launch of the new TRANSFORMERS PRIME BEAST HUNTERS, the OPTIMUS PRIME truck is embarking on a UK tour where fans will get the chance to ‘choose their side’ and discover the new range. Based on the third season of the Emmy Award-winning animated series TRANSFORMERS PRIME, TRANSFORMERS PRIME BEAST HUNTERS, the AUTOBOTS face off against both the DECEPTICONS and an unprecedented new foe: the dragon-like PREDACONS, led by the spectacular PREDAKING character! Hasbro’s 2013 TRANSFORMERS PRIME product line will be based on the new BEAST HUNTERS story and will feature many of the new PREDACON characters as well as new designs for favourite characters like OPTIMUS PRIME, BUMBLEBEE and more. Accompanying the replica of the AUTOBOTS leader will be an interactive TRANSFORMERS Station that will showcase the new range of BEAST HUNTERS toys alongside viewings of the thrilling new DVD series TRANSFORMERS PRIME, digital play areas and the opportunity for fans to have a customisable picture taken with OPTIMUS PRIME and the new BEAST HUNTERS against a green screen. Also coming this Summer is the new TRANSFORMERS PRIME: SERIES ONE – DECEPTICONS UNLEASHED on DVD. The latest series sees the Transformers face their toughest challenge yet in their quest to save OPTIMUS PRIME - a must-see for any Transformers fan! The DVD is available at all major retailers and via digital download from June 24th, priced at £10.99. New look! New faction! New weapons! The TRANSFORMERS PRIME BEAST HUNTERS DELUXE Assortment features popular AUTOBOTS and DECEPTICONS with new looks and more powerful weapons to confront the beastly new PREDACON foes! Featuring an intuitive conversion experience and action weapons with firing projectiles, there are 16 characters in the assortment including BUMBLEBEE, WHEELJACK, and LASERBACK the PREDACON. Each sold separately. The leaders of the AUTOBOTS and PREDACONS face off in these large-scale action figures! Based on the third season of Hasbro Studios’ hit animated series TRANSFORMERS PRIME, OPTIMUS PRIME and PREDAKING each feature a powerful weapon, and OPTIMUS PRIME boasts his new BEAST HUNTER look! There are six figures in the assortment; each includes weapons and accessories. Each sold separately. OPTIMUS PRIME is armoured up and ready to take on the PREDACON menace! This extra-large action figure converts from a massive battle-wagon featuring a five-barrel working projectile cannon, to the most powerful version of the AUTOBOT commander ever! The TRANSFORMERS PRIME BEAST HUNTERS OPTIMUS PRIME figure features a revolving Dragon Head Cannon, electronic lights, sword and shield. Includes two A76/LR44 button cell batteries. All robots tremble at the sight of Predaking, leader of the Predacons and the first-ever Cybertronian to change into a full-size dragon. Predaking features light-up snapping head action and is prepared to square off against Beast Hunter Optimus Prime in either powerful robot or terrifying dragon model. The TRANSFORMERS PRIME BEAST HUNTERS CYBERVERSE assortment of action figures offers fans the characters based on Hasbro Studios’ hit animated series TRANSFORMERS PRIME in two collectible, easy to convert scales. The smallest scale offered within the TRANSFORMERS PRIME BEAST HUNTERS CYBERVERSE assortment, the TRANSFORMERS PRIME BEAST HUNTERS CYBERVERSE LEGION CLASS action figures feature newly redesigned AUTOBOTS with Beast-hunting weapons, Characters include BUMBLEBEE, AIRACHNID, SMOKESCREEN and TWINSTRIKE. There are 11 figures to collect. Each figure sold separately. The TRANSFORMERS PRIME BEAST HUNTERS CYBERVERSE assortment of action figures offers fans the characters based on Hasbro Studios’ hit animated series TRANSFORMERS PRIME in two collectible, easy to convert scales. The larger scale offered within the TRANSFORMERS PRIME BEAST HUNTERS CYBERVERSE assortment, the TRANSFORMERS PRIME BEAST HUNTERS CYBERVERSE COMMANDER CLASS action figures feature the show’s iconic characters at a collectable scale, with new BEAST HUNTER looks for the AUTOBOTS and DECEPTICONS and new PREDACON characters! Characters include BULKHEAD, OPTIMUS PRIME and the leader of the PREDACONS, the evil PREDAKING. There are nine figures to collect. Each figure sold separately. Based on the third season of Hasbro Studios’ hit animated series TRANSFORMERS PRIME, each TRANSFORMERS PRIME BEAST HUNTERS CYBERVERSE Vehicle includes an exclusive TRANSFORMERS PRIME BEAST HUNTERS CYBERVERSE LEGION CLASS ACTION FIGURE. Every CYBERVERSE Vehicle converts between two modes and includes firing projectiles and Beast Capture gear to hunt down the villainous PREDACONS. Plus, each vehicle is compatible with every TRANSFORMERS PRIME CYBERVERSE LEGION CLASS and COMMANDER CLASS action figure. Three vehicles to collect:, including AUTOBOT SKY CLAW with SMOKESCREEN and APEX HUNTER ARMOR with BREAKDOWN. Each sold separately. When a fearsome new faction of Beast TRANSFORMERS robots emerge on Earth, the AUTOBOTS must evolve to fight them — they must become BEAST HUNTERS! Based on the third season of the Emmy Award-winning animated series TRANSFORMERS PRIME, TRANSFORMERS PRIME BEAST HUNTERS finds the AUTOBOTS facing off against both the DECEPTICONS and an unprecedented new foe: the dragon-like PREDACONS, led by the spectacular PREDAKING character! Hasbro’s 2013 TRANSFORMERS PRIME product line will be based on the new BEAST HUNTERS story and will feature many of the new PREDACON characters as well as new designs for favorite characters like OPTIMUS PRIME, BUMBLEBEE and more. BEAST HUNTERS will be the touchstone for TRANSFORMERS brand entertainment in 2013 driven by the award winning TRANSFORMERS PRIME animated series which is produced by Hasbro Studios.